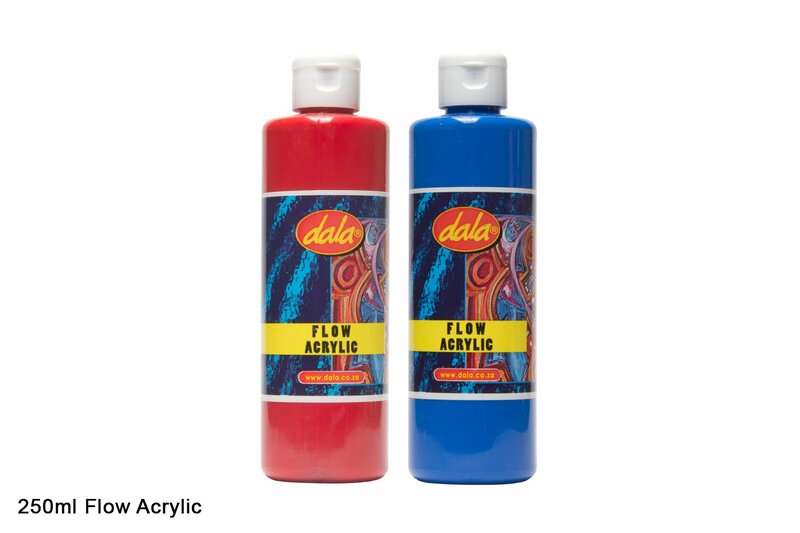 Dala Flow Acrylic is an affordable, smooth and fluid acrylic paint in a convenient squeeze bottle. This makes it a perfect choice for the classroom, as well as for graphic artists and illustrators. Intense colours that dry to a smooth, satin sheen finish. Can be further diluted with water for watercolour effects. Dala Flow Acrylic is a smooth and fluid acrylic paint that can be used straight from the container. It can also be diluted further for watercolour effects. Perfect for the classroom use, as well as for graphic and illustration purposes. This item has 2311 views.